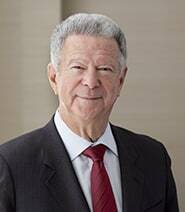 One of the premiere medical malpractice attorneys in the country, Stephen Mackauf joined the firm in 1970 and specializes in the evaluation, preparation, and trial of all types of medical negligence cases, including obstetrical, surgical, and anesthesia malpractice and the failure to diagnose breast and other cancers. Mr. Mackauf’s talent for understanding medicine, medical terminology, anatomy and diseases, and his consequent ability to decipher voluminous medical records, renders him virtually indispensable to the success of GGCRBHS&M’s medical negligence practice. Mr. Mackauf regularly chairs seminars and teaches the art of preparation and trial of medical malpractice cases to both plaintiff's and defendant's attorneys across the country. In 2008, in recognition of his skill and knowledge in the field of medical malpractice, Mr. Mackauf was asked by senior members of the Judiciary to teach New York judges about issues involving obstetrical malpractice at the annual New York Judicial Seminar. 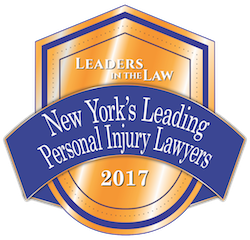 He has also lectured at New York Bar Association seminars and for the Practising Law Institute. 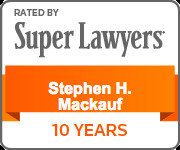 Mr. Mackauf is listed in the prestigious Best Lawyers in America and has developed a national reputation as a leader in the medical malpractice field. He resides in Westchester County with his wife Carol who is a psychologist and psychoanalyst. "Failure to Diagnose Breast Cancer: the perspective of a patient's attorney" in Handling the Failure to Diagnose a Breast Cancer Medical Malpractice Case, New York State Bar Association, 2007. $103,127,355 verdict in a medical malpractice case on behalf of a Binghamton premature baby who was brain damaged due to lack of oxygen because of the failure to perform a sufficiently prompt emergency cesarean section. $90,939,857 jury verdict for a Brooklyn child whose cerebral palsy was caused by the failure of an obstetrician to diagnose placental abruption and who thus delayed the cesarean section that was necessary to rescue the baby who was suffering from a lack of oxygen.